We are not simply an agency passing your work out to other companies. 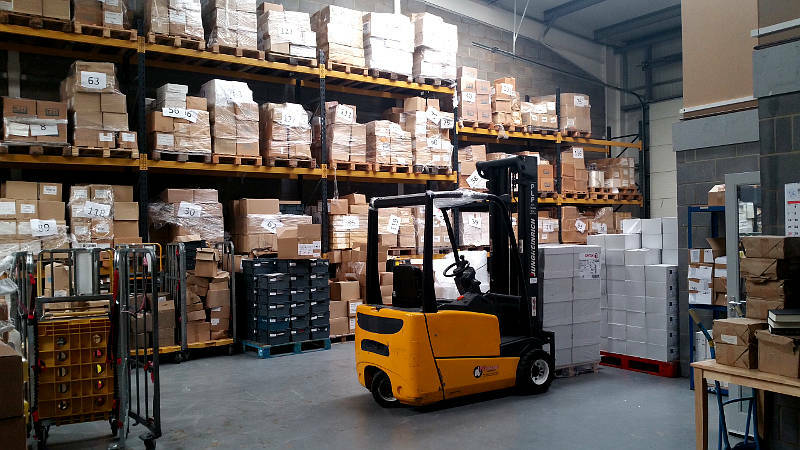 We are a direct mail house and our services are carried out in our fulfilment warehouse based in Peterborough. We send out tens of thousands and often hundreds of thousands of pieces of mail every week. There is a lot of work and coordination that goes into doing a mailing from start to finish. It is just as important for our data room and our print room to be well co-ordinated as it is for us to be in contact with our clients. What is a Mailing House and what do Direct Mail Houses do? A mailing house in the UK would offer print and mail services to other companies with the aim of offering a more cost effective and efficient solution. Typically we would aim to reduce postage and mailing costs but also maintain the or improve the level of quality and service you expect. Which of the UK Mailing Companies to Choose? There are a lot of mailing companies in the UK you could choose from so we don't just want to get the job done right, we want you to know how much time, effort and care we have put into your job. We want to make sure that you are so happy with us that you will want to use us again for your other campaigns. Graham, company director of DataMailDM has over 20 years' experience in the direct marketing industry. He has used this knowledge and experience to provide a reliable and dependable direct mail and fulfilment services. With our knowledge of mailing and printing we are usually able to save customers about a quarter off their mailing costs. It's not all about saving money though; it's important that your next campaign is successful and so we will do our utmost to ensure this happens. Not only do we specialise in getting mailing out at very short notice but we also have the staff flexibility and experience to make sure your next campaign goes out on time, is the best it can be and that we have looked at ways we can reduce your cost without compromising on your goals.